Your headline competition prize grabs their attention, but how do you increase the number of winners without increasing the hassle? Easy, just use GiftPay to send prizes to the supplementary winners. Or for regular and ongoing competitions with smaller prizes $1,000 and below, GiftPay takes the hassle out of managing the prizes. What prizes can I offer? 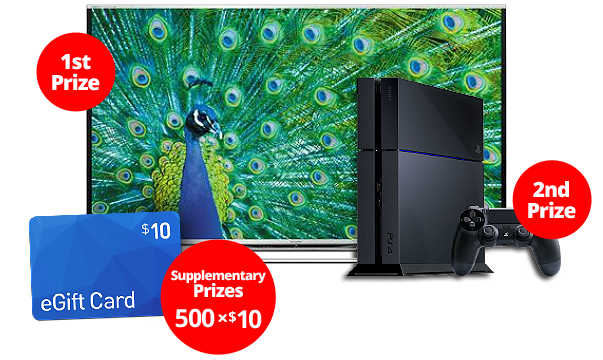 With a wide range of ways to spend a GiftPay eGift, your prizes are almost universally appealing. Options include Woolworths, JB Hi-Fi, Myer, Event Cinemas, David Jones, Flight Centre, Red Balloon, and so much more. Options include Farmers, Dominos, JB Hi-Fi, iTunes and so much more. Options include Amazon, Argos, Currys PC World, Tesco, and so much more. Options include Amazon, Best Buy and The Home Depot. What participant details do I need? You only need each prize winner's email address. For online competitions, this is something you might already collect as part of the entry process - no need to collect postal addresses. Will processing prizes take too much time? Easy online portal makes prize delivery a simple task. Arrange the delivery of winners' prizes in minutes, not days! What if the winner hasn't receive their prize? If a prize winner never receives their prize, you can resend a prize to the same email or a new email address in just a few clicks. Sign up now to get started. 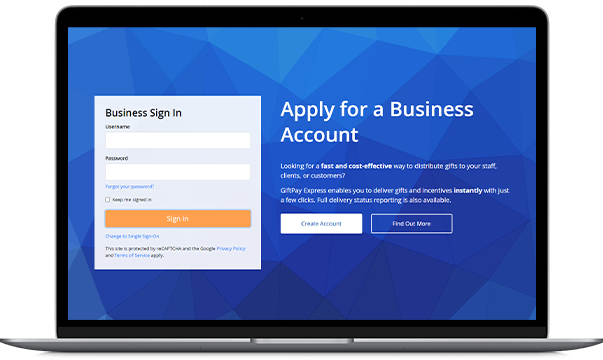 Your GiftPay Express business account is FREE, with no obligations. Just cover the value of the prizes.